A modern monastery for cycling opens in 1990s industrial building in Copenhagen. 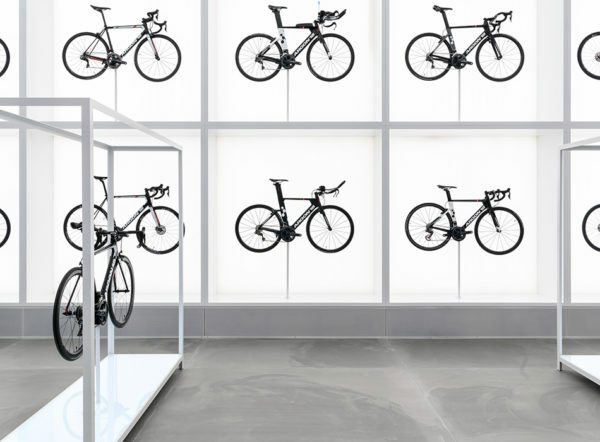 The store is located in the small town of Lynge, in Denmark, in a building that since the 1990s has been exclusively used as a storage facility by United Cycling, a distributor of high-performance bicycles to advanced cyclists and athletes. 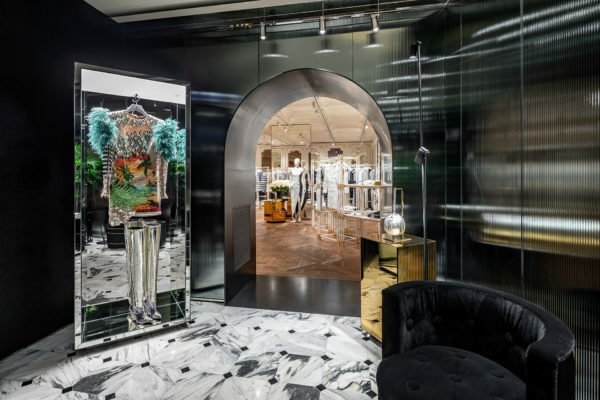 The interiors now play host to a product showroom, workshop, and a bike-fitting area for customers, as well as a number of meeting rooms and a canteen for staff. 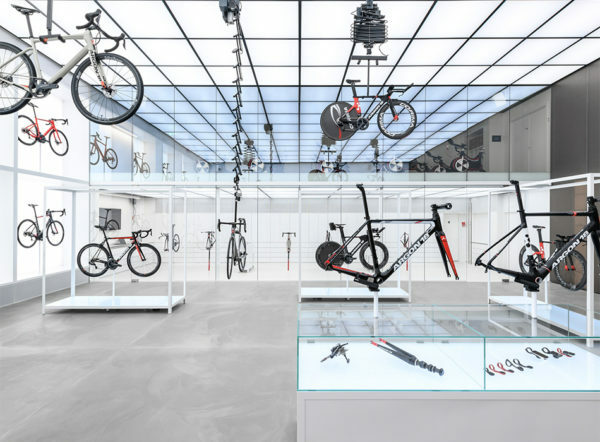 The strict gridded formation – along with the grid pattern that covers the ceiling – is intended to reflect the meticulous construction process required to make specialised bicycles.“The result is a clinical and futuristic lab – a toy store for the passionate and serious rider. 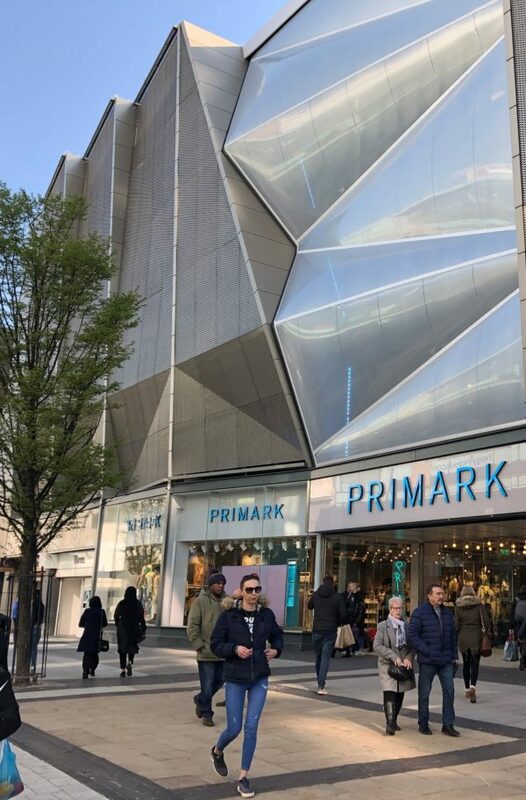 We call it a modern monastery for the science of cycling”. 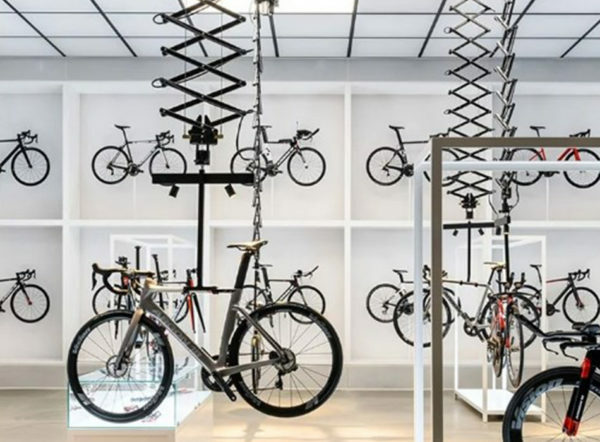 Several other bikes are shown at floor level inside white square frames, while five models are suspended from the ceiling on mechanical hoists that can be lowered at the press of a button should customers want to take a closer look. 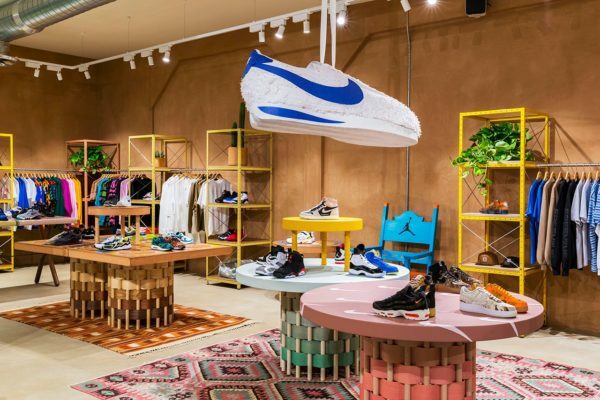 The fit-out of the space has otherwise been kept simple with concrete flooring and timber wall panelling.